I just caught this film on the TalkingPictures channel on Sky, starring Ann Lynn (Minder's own Rose Mellors) playing a character called, believe it or not, Rose. This is a pretty good film I thought, starring Derren Nesbitt, Colin Gordon and William Morgan Sheppard (who was in Minder's 'Come in T-64, Your Time Is Ticking Away'). Before I go on, it has to be said that Ann Lynn is looking pretty darn hot in this film. 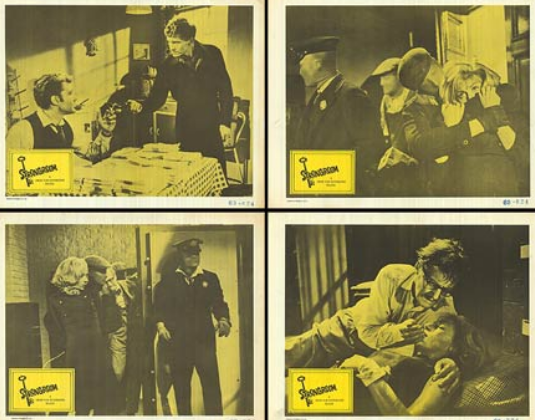 The story is centred around a bank robbery, where the manager (Mr. Spencer played by Colin Gordon) and his secretary Rose end up locked in a bank's strongroom - an air tight container below the bank - sure to die if they don't get some air. To make matters worse it's a bank holiday. With very little time to live, Griff (played by Nesbitt - the lead blagger) decides he doesn't want to go down for murder and decides the blaggers need to return to the scene of the crime to save themselves being wanted for two murders. I thoroughly enjoyed this film and despite its age definitely worth a look if you can get hold of it. At one point it felt very Alfred Hitchcock - some top acting going here I thought. 8/10 - great ending, like it! This will be added to the CFA this week. Trust me, you are going to love this one mias! Some more grabs of the stars of this one. Derren Nesbitt before he morphed into the L'homme de Michelin. Colin Gordon is pretty good in this. I only really know him from 'The Prisoner' in which he is also on top form. 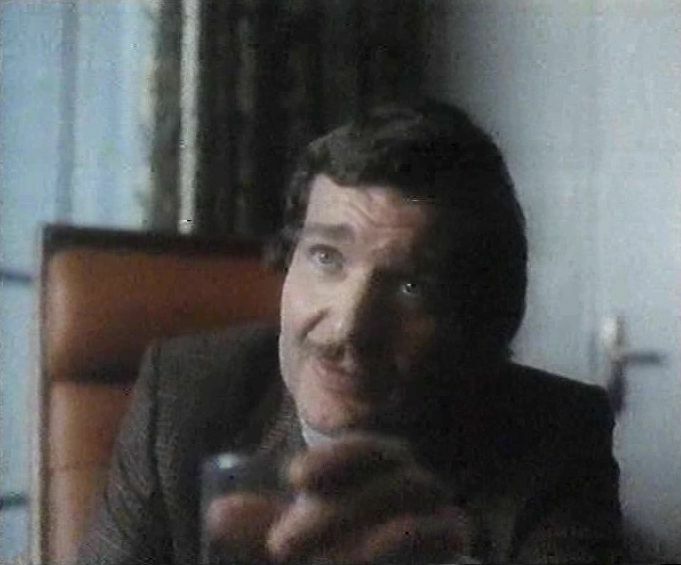 Colin Gordon was Templeton-Green (from MI6) in six of the first thirteen episodes of 'The Baron'. Eek completely forgotten about 'The Baron'. I can't remember if I've seen this or not so will have to look out for a repeat on Talking Pictures. I always enjoy seeing Colin Gordon crop up in a film or tv show. 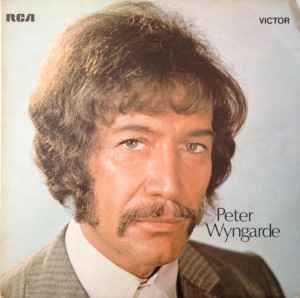 He was also the tax inspector in one of the classic Steptoe & Son episodes, Live Now, P.A.Y.E. Later and one of the trapped passengers in the Hancock episode The Lift. Add in roles in UFO, Department S, The Pink Panther and the original Casino Royale on top of the aforementioned The Prisoner and The Baron, and anyone on here will have seen him in something. Sadly, he died in 1972 when he was just 61. I can now confirm that this movie resides in the CFA. Yes, jno, saw this the other day on Talking Pictures. Liked it but a bit weak about them simply not phoning the police to say what they had done. Also, had I been that Bank Manager, facing doom, I would have spent less time messing around with digging up the floor and more time convincing Ann Lynn that she would have been more comfortable taking her dress off!!! I saw this on DVD yesterday and I thought it was an absolute belter of a B Movie that is older than me! Despite an obviously meagre budget the cast are absolutely first class. Ann Lynn was drop dead gorgeous back in 1961! Derren Nesbitt and Colin Gordon are both really good in this crime movie. Only 17 years and Derren would be involved in a another bank blag in 'Give Us Tomorrow'. As jno says, the ending was first rate. The pq on the DVD is above average. Extras? About 10 trailers for 1960's Brit B Movies that Odeon had released on DVD. No trailer for 'Strong Room' though! Nice little review there mias - I will have to check out 'Give Us Tomorrow'. Seems 'Strongroom' has the general seal of approval from us on here though. In 'Give Us Tomorrow', Derren resembles a Sherman Tank and swears! Still a good film though. Here he is in 'Funny Money' www.imdb.com/title/tt0083979/ - a dodgy VHS grab off my old ex-rental copy, no doubt you will notice the hair, or lack of it. Wow! Some of it has changed since it was filmed in 1961! Just watched Strongroom and agree with what everyone else says. Excellent acting all round and Ann Lynn does look fantastic. Yes I agree with everything above especially about Colin Gordon and Ann Lynn. When I saw this a while ago I didn't twig that was Rose Mellors, glad to learn that. A good little film. The pair of pairs of Darren Nesbitt and Keith Faulkner as, respectively, the criminals terrified they've made a deadly mistake, and Colin Gordon (always a pleasure to see him appear in anything!) and Ann Lynn as the trapped and terrified bank staff are both excellent in this tight, bleak little thriller from Vernon Sewell, who incidentally also directed the equally excellent 'Man in the Back Seat' (starring, yep, Nesbitt and Faulkner). The tale of an apparently neatly executed bank robbery turned into a race against time to avoid the noose, I only noticed when the credits rolled that one of the robbers was played by William Morgan Sheppard (most recently of Doctor Who fame), who died earlier this week. He's not in it for long, but he's solid enough while he is, as he in everything in which I've seen him.